Rick Parry started the Rick Parry Goalie Academy (RPGA) to channel the experience he had gathered from his career playing and coaching in Canada, Europe, Australia and New Zealand to grow the next generation of New Zealand goalies. This with a specific aim of potentially improving New Zealand’s world rankings. He believes that the best structure for an academy is to be set up as a social enterprise and the past three years, he’s been putting his plan into place. His first step is to run specific goalie camps around the country during 2019. 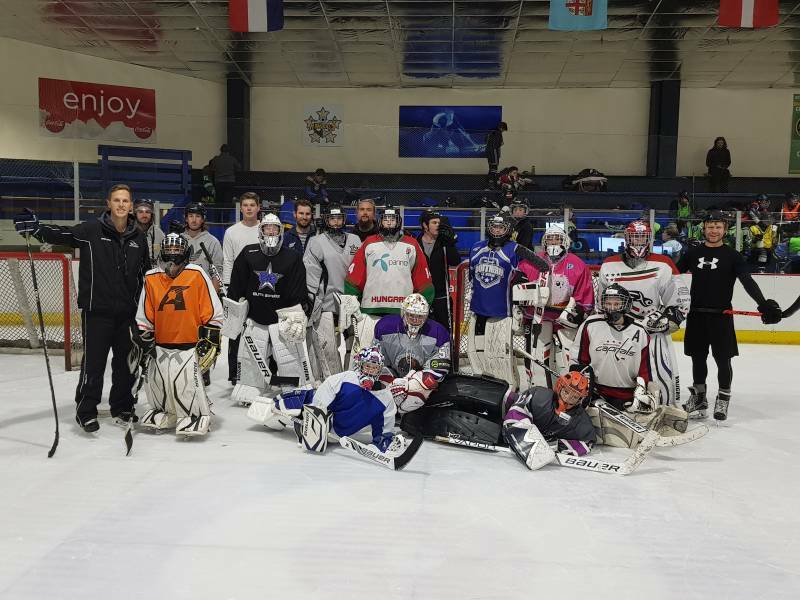 In March, he ran one in Auckland and one in Dunedin with 20 goalies attending in both locations – 12 boys and eight girls between the ages of eight and 49. The camps are divided between skating, specific drill stations and small area games. Classroom sessions on mental skills, nutrition, fitness are also held and the feedback at this early stage has been great from both students and parents. One of the biggest hurdles to date for him has been the cost of ice time. When Rick was younger, he and his dad built a mini ice rink so he could gain the exposure need from repetitive practice. It is Rick’s intention through the value he gives via coaching to re-invest profits from his endeavors into building a specific goalie centre in New Zealand. He is also gearing up the business to have an annual award or scholarship for New Zealand eligible goalies covering their playing fees or costs of National tours. Have a look at the RPGA Facebook or Instagram page for more details and how to join this enterprise.